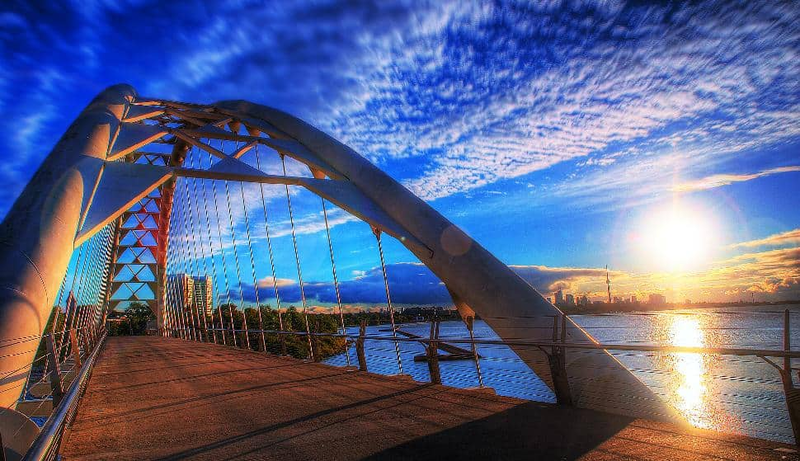 On April 15th, 2014 the Ministry of Energy announced that Ontario ended coal generation in favour of emission-free or low-emission energy sources such as biomass, natural gas, nuclear, solar, water and wind power. In fact, Canadians can be proud that Ontario is the first region in North America to completely eliminate coal as an energy source. "Getting off coal is the single largest climate change initiative undertaken in North America and is equivalent to taking up to seven million cars off the road. Today we celebrate a cleaner future for our children and grandchildren while embracing the environmental benefits that our cleaner energy sources will bring." Doc Searls (dsearls on flickr) / Licensed under Creative Commons Attribution 2.0 GenericAccording to the World Energy Council, in 2013 Alberta was the largest coal-consuming province in Canada. And I'm reminded of my early days as a waitress when restaurants would assign tables as "non-smoking" or "smoking" (without any room dividers). By the end of the evening, every area of the restaurant smelled like cigarette smoke. I'm certain the same holds true with air pollution. 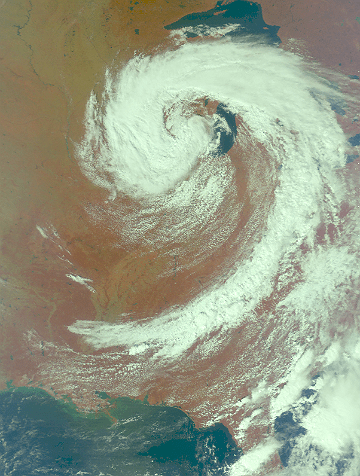 As early as 2001, pollution-filled dust clouds from coal burning and factories in Asia were documented to reach North America in the US Environmental Protection Agency's National Air Quality and Emissions Trend Report (2003). More recently, in March 2012, the NOAA (National Oceanic and Atmospheric Association) confirmed in a study led by Meiyun Lin, Ph.D. that "Asian pollution directly contributes to surface ozone pollution episodes in parts of the western United States." In this study, it's important to note that other sources of pollution included wildfires, local fossil fuel use, and pollution from other areas of the world. Asia contributed no more than 20% of the ground-level ozone. So even though it's a huge step in the right direction that Ontario has banned traditional coal-burning, we need the rest of the world to follow suit. "We are on the verge of an energy revolution. With strong political leadership, we have a once-in-a-generation opportunity to use policy and technology innovation to stave off the greatest human-caused threat our planet has seen." Fortunately, estimates reveal that renewable energy resources are more abundant than all of the fossil fuels combined. On a global scale, we can eliminate a third of carbon dioxide emissions by 2030 by retiring hundreds of coal-burning power plants. Next is a NASA/JPL (Jet Propulsion Laboratory) AIRS Project image created from a three-day average of carbon monoxide levels (in parts per billion) taken at an altitude of 18,000 feet (5.5 kilometers) around the world. This August 2013 image shows the carbon monoxide plume from the Rim Fire (Yosemite National Park, California) extending into Canada. However, carbon monoxide emissions from African and South American agricultural fires or from the northern forests of Asia, appear much more widespread. 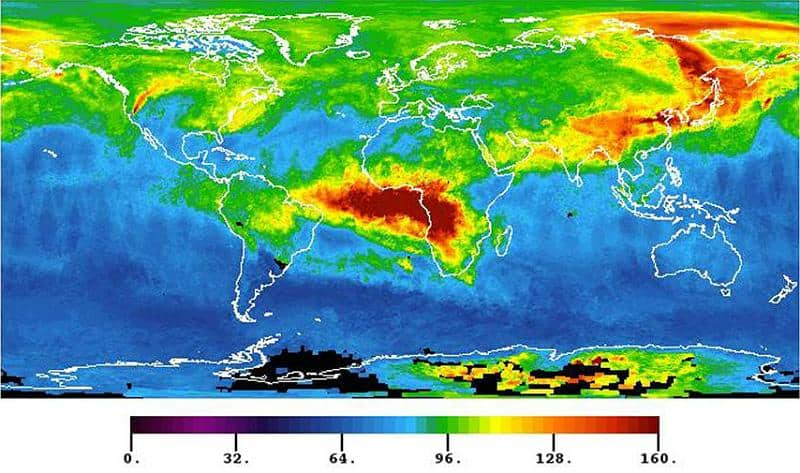 NASA Goddard Photo and Video on flickr / Licensed under Creative Commons Attribution 2.0 GenericIt's clear to see from NASA's Earth Observatory that carbon pollution is not distributed evenly over the world. The jet stream, circulatory patterns, storms, and geography of the land play a huge part in the different concentration levels. 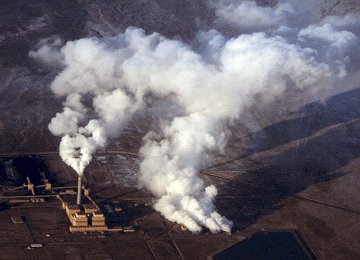 Data collected in May 2013, revealed the highest carbon dioxide levels in at least 800,000 years. It was measured at 399.76 parts per million. This year, NASA is launching the first satellite dedicated to monitoring carbon dioxide aptly named the Orbiting Carbon Observatory-2 (OCO-2). The OCO-2 will provide a greater spatial distribution of carbon dioxide over the entire planet. This data, combined with ground-based networks, will give scientists an enhanced understanding of the processes that regulate atmospheric carbon dioxide and more. By employing the OCO-2, future atmospheric carbon dioxide increases and their impact on Earth's climate will be predicted with much greater accuracy. The launch of the Orbiting Carbon Observatory-2 (OCO-2) is set for July 1st, 2014. After perusing the 32-page document on coal by the World Energy Council (2013), I was alarmed that other countries are not phasing out coal-burning power plants. In fact, 1200 new coal-burning power plants were planned to be built back in 2012 worldwide, most of them in China and India. "If you're a young person looking at the future of this planet and looking at what is being done right now, and not done, I believe we have reached the stage where it is time for civil disobedience to prevent the construction of new coal plants that do not have carbon capture and sequestration." 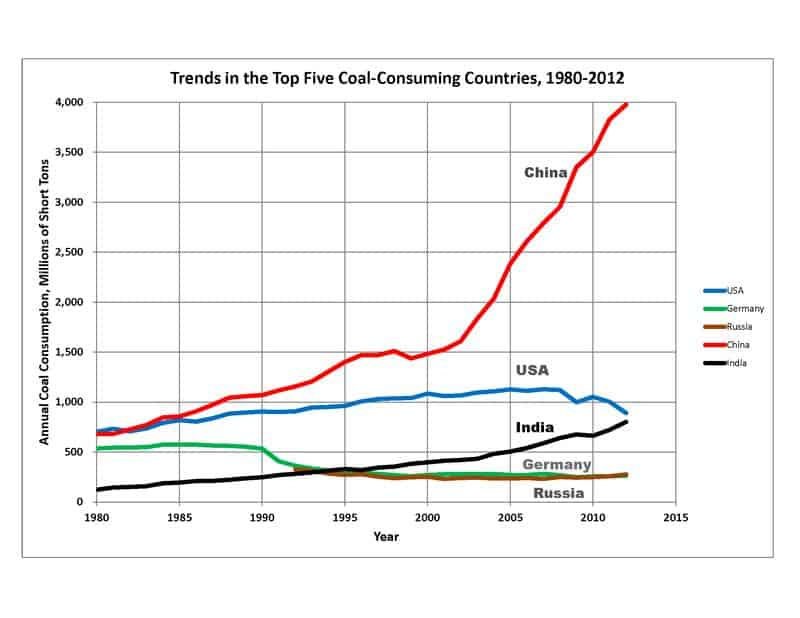 Up next is a graph which shows the trends (from 1980 - 2012) in the top 5 coal-consuming countries. As you can see, the projections for China are massive. The G20 leaders of the world's top industrialized nations, as well as key countries with developing economies, have agreed to phase out coal and other fossil fuels. But sadly, a 2012 report by Oil Change International revealed that "no subsidies have actually been eliminated as a result of the G20 commitment." It appears that North America and most other areas in the world plan to adopt cleaner, renewable sources of energy. Having the United States on board in this global effort will make a marked difference. One would hope that with a clearer picture of the effects of carbon pollution (as the OCO-2 will provide) that China, India, and other countries will make use of clean coal technology, carbon sequestration, or carbon capture and storage. 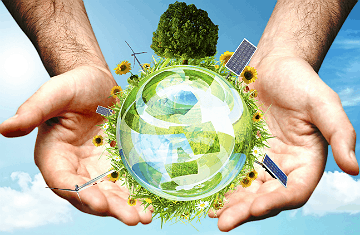 And in the future, invest in clean, sustainable, renewable sources of energy. Phasing-out coal is paramount to the future of our planet and every effort needs to be made globally to eliminate carbon pollution. Thank you Ontario for putting an end to coal generation prior to your target of December 2014.